, or, as Wood says, commonly called Rhanger, a learned divine and Latin poet, was born | in Hampshire, in 1529, and educated at Magdalen college, Oxford. Here he took his bachelor’s degree, in March 1545; was chosen fellow in 1547, and afterwards completed his master’s degree. In king Edward’s reign, he was much esteemed as a pious preacher, and learned man; but as he had embraced the reformed religion, he was obliged to leave the kingdom on the accession of queen Mary, and lived mostly with some other English exiles at Strasburgh. When queen Elizabeth came to the throne, he was made one of her chaplains, and proved a zealous champion for the reformation. 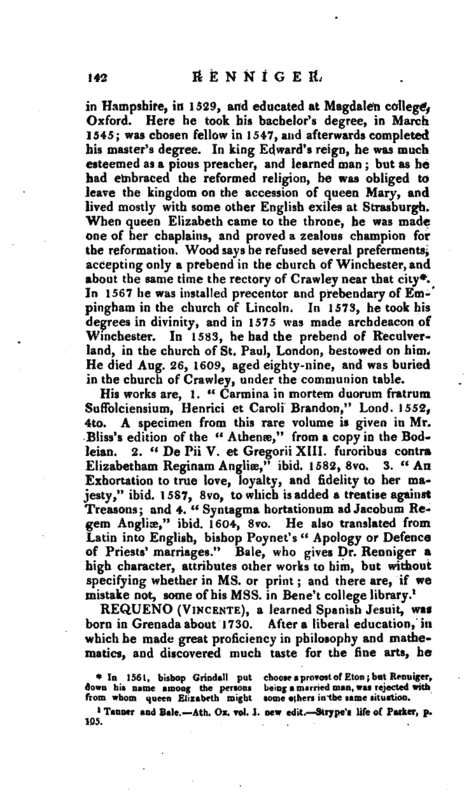 Wood says he refused several preferments, accepting only a prebend in the church of Winchester, and about the same time the rectory of Crawley near that city*. In 1567 he was installed precentor and prebendary of Empingham in the church of Lincoln. In 1573, he took his degrees in divinity, and in 1575 was made archdeacon of Winchester. 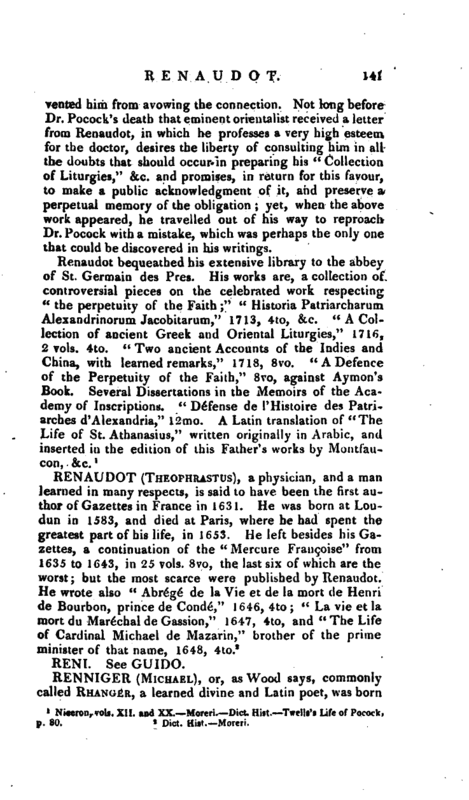 In 1583, he had the prebend of Reculverland, in the church of St. Paul, London, bestowed on him. He died Aug. 26, 1609, aged eighty-nine, and was buried in the church of Crawley, under the communion table. Tanner and Bale. —Ath. Ox. vol. I. new edit.- —Strype’s life of Parker, p. 105.